Supplying great lodges for you to enjoy and relax in. We can supply to your design or ours. From 1 bedroom to 4 bedroom all built in solid timber and for your site in Spain. 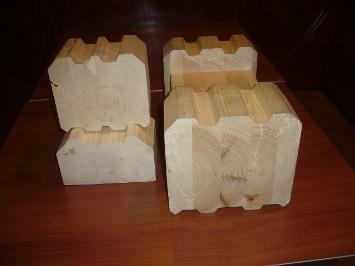 All lodges come with a profiled timber of your choice. They are treated in our factory and sewn using the latest computer technology to produce the highest quality fits to all joints. If you're looking for high quality timber lodges for your plot in Spain, these solid timber lodge homes are the best. Our company manufacture sets ready to build. The lodge kits are complete with all elements needed for assembly. All lodge elements are labelled and packed for ease of identification and build. Majority of our clients order our homes in Spain, France, Italy and Portugal. We manufacture homes on world trade. Parts manufacture takes from 6 to 8 weeks from signing the order. Time of building depends of home construction. Mounting of garden shed takes from 2 to 4 days, log cabin – from one week to six weeks, dwelling – from 4 weeks to 3 months.